Other Ground Transportation Options in Raleigh, N.C.
Want to satisfy the free spirit in you? Rent a motorcycle from Tobacco Road Harley-Davidson during your stay. For those staying and meeting or playing in downtown Raleigh, flag down one of the local rickshaws for a convenient, environmentally-green ride. Have some time to spare and want to explore downtown Raleigh at your leisure? 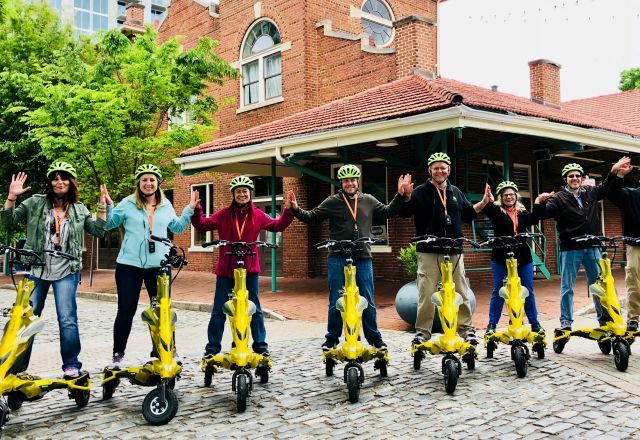 Jump on the Trolley Pub for a party on wheels (must be 21 or older), or glide around on a Carolina Touring Company Trikke tour.